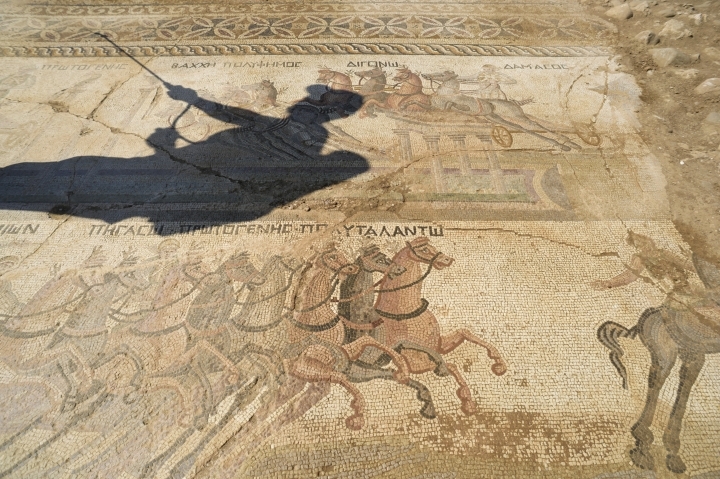 NICOSIA, Cyprus — A mosaic floor dating to the 4th century and depicting scenes from a chariot race in the hippodrome has been uncovered, the only one of its kind in Cyprus and one of only a handful in the world, a Cypriot archaeologist said Wednesday. 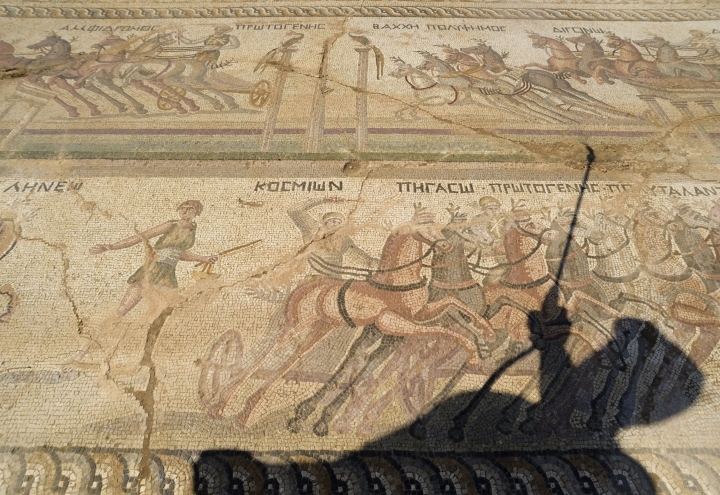 Cyprus Antiquities Department archaeologist Fryni Hadjichristofi told the Associated Press that out of the many hundreds of ancient mosaic floors discovered around the world, only around seven depict similar chariot races at the hippodrome. What distinguishes this mosaic is its ornate detail and the fact that it depicts complete scenes from race in which four chariots, each with a team of four horses, are competing. This may be representative of different factions in competition with each other in ancient Rome. 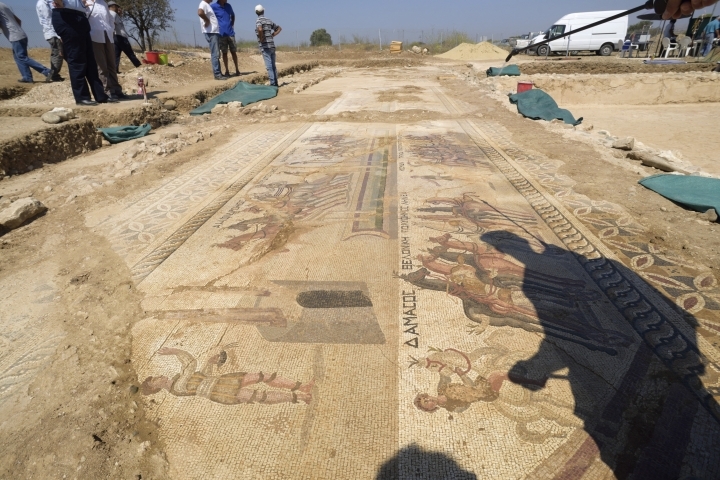 The mosaic is 11 meters long and four meters wide (36 by 13 feet) but hasn't been fully uncovered yet. It's possibly part of a villa that may have belonged to a wealthy individual or nobleman when Cyprus was under Roman rule. 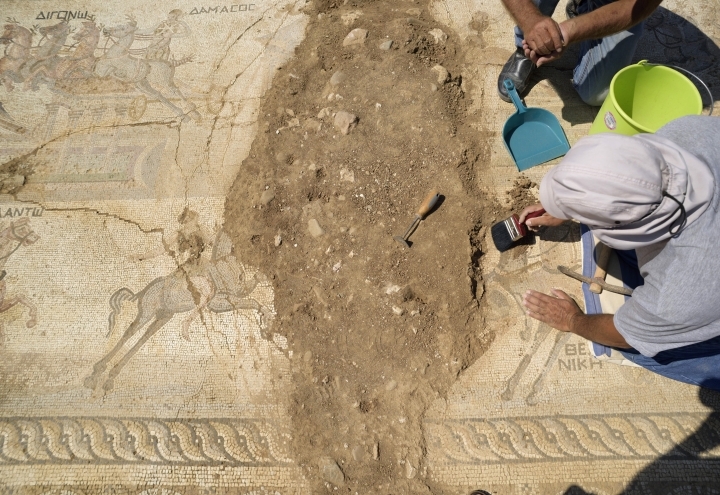 The mosaic, about 30 kilometers (19 miles) west of the capital Nicosia, also sheds new light on the ancient past of the island's interior, about which little is known. A small piece of the mosaic was first discovered by an area farmer tilling his land back in 1938. Authorities marked the area, but full-fledged digs didn't proceed until almost 80 years later because of work at many other sites the Antiquities Department had prioritized, said Hadjichristofi. "We know that Cyprus was once wealthy, the latest discoveries confirm this," she said. 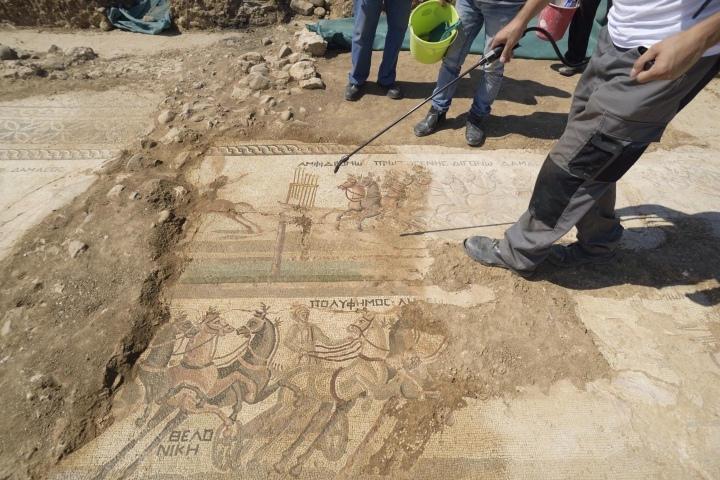 Last month, crews working on a sewage system in the coastal city of Larnaca discovered another rare Roman-era mosaic depicting Hercules' Labors.